You've probably heard of both bitcoin and blockchains by now however you may not have known they're one and the same thing. If someone says they like one and not the other, then they don't know what there're talking about. There are numerous other crytocurrencies residing on their own blockchain and bitcoin's revolutionary protocol was the path blazing pioneer. Start thinking of Bitcoin as a technology with an infinite number of applications. Bitcoin is a way to exchange value by transferring ownership on the Blockchain. The power of the Blockchain resides in the one version of the truth immutability of a publicly accessible ledger. So everyone uses and views one tamper-proof ledger. What happens when the past is altered by rolling back a blockchain? The estimated worldwide cost of fraud is 5% of all revenues or 3 trillion plus dollars. That's a lot of fraud millionaires. The "fraud tax" is an invisible expense among line items on already strained income statements. Shockingly, the average fraud lingers for 18 months only surfacing after an almighty tip off. Half of the time perpetrators walk away as a gift from mentally and financially exhausted business owners. Document, ledger and accounting alterations and falsifications are the primetime tool for committing financial statement fraud. Every old model technology offers an unlimited number of ways to perpetrate fraud but the fraud busting properties of the Bitcoin Blockchain are a bad actor's worst enemy. It's the best example of a tamper-proof ledger in human history. 1) Bitcoin is beautiful because it's infeasible (and therefore de facto impossible) to hack the distributed network, rollback the Blockchain and rewrite or redirect $1,000,000 worth of bitcoins in your favor. 2) If $50,000,000 worth of bitcoins was stolen from a bitcoin wallet, no one has the power individually or collectively to rollback the Blockchain and "transfer" the bitcoins from the hacker to the original owner. 3) Bitcoin is designed to do a few simple things the most notable being transfer of value using the cryptocurrency bitcoin. It doesn't support complicated and sophisticated financials transactions. There's beauty in its simplicity. 4) The Bitcoin network is resilient, robust and reliable for conducting transactions meaning you can send or receive bitcoins with 100% confidence. The rest of the time you are 100% responsible for managing and securing your bitcoins. A) What if you could rollback fraud by clicking a few buttons in the settings area of your new cryptocurrency business dashboard? B) What if Bitcoin's immutability force field was disabled and Blockchain history could be changed at random by developers? C) What is the future value of conducting business on a shape shifting block chain vs. an etched-in-stone permanent block chain? These are appropriate brain teasing questions considering the hack of the Ethereum based DAO smart contract was rolled back to a pre-hack point in time while the rest of the Ethereum Blockchain remained in tact. Smart contracts are the crowning achievement of the Ethereum protocol, a super charged version of Bitcoin. The DAO smart contact raised $150,000,000 for a self-governing token voting crowdfunding platform of sorts. A short time later more than a third was drained from leaky code. The Ethereum community and the DAO creators scrambled to decide whether or not to roll back the smart contract, a specific event on the Ethereum Blockchain, and if so how to execute the roll back. It's like a squeeze play in baseball with a runner caught between bases facing an almost certain out. Base #1) If no action is taken to retrieve the $60,000,000, then the Ethereum community could lose credibility and the protocol could be seen as unreliable. Base #2) If action is taken to roll back the past, then the Ethereum Blockchain can no longer be viewed as an immutable ledger setting the precedent for an unlimited number of future roll backs. After several weeks, the community consensus resulted in a hard fork, the magic wand of Ethereum Blockchain alteration, rolling back the hack as if it never happened allowing DAO investors to get their money back. The drainage of The DAO smart contract wasn't necessarily a fraud but clearly a clever hack. The leaky code in the smart contract executed as designed and the hacker simply exploited the flaw for maximum benefit. The flaw was a mistake in the code and the hack is arguably a fraud so the hard fork was actually rolling back a mistake not rolling back fraud. Rolling back mistakes is way more alarming than rolling back fraud. 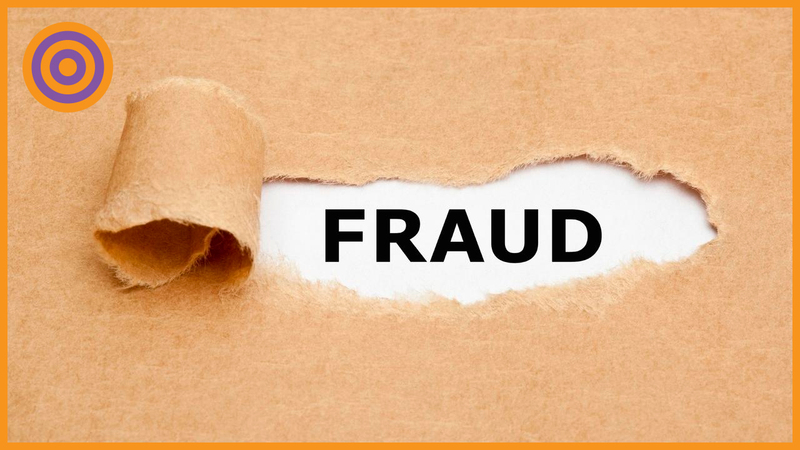 Every business owner who discovers fraud regardless of monetary damages feels violated from a breach of trust, the most sacred of human traits in business and in life. So the same people who were violated would also be in favor of a fraud vaporizing magic wand, the blockchain rollback. Future rollbacks may collectively cost more than the sum of the individual hacks that were undone. The benefit of leaving the hack alone could be more valuable than the $60,000,000 siphoned off. It would force Ethereum based projects to step up their programing game and provide confidence that whatever happens on Ethereum stays on Ethereum. Conversely, the cost to goodwill for making a rollback could be more expensive than the $60,000,000 hack. Time will tell if the rollback was the right thing to do. Continue your crypto journey be getting a copy of The Ultimate Bitcoin Business Guide. It's required reading or listening so you and your business can start playing with and benefiting from 21st century money. Continue getting up to speed on bitcoin, cryptocurrency and blockchains with The Ultimate Bitcoin Business Blog™ and The Ultimate Bitcoin Business Series™.